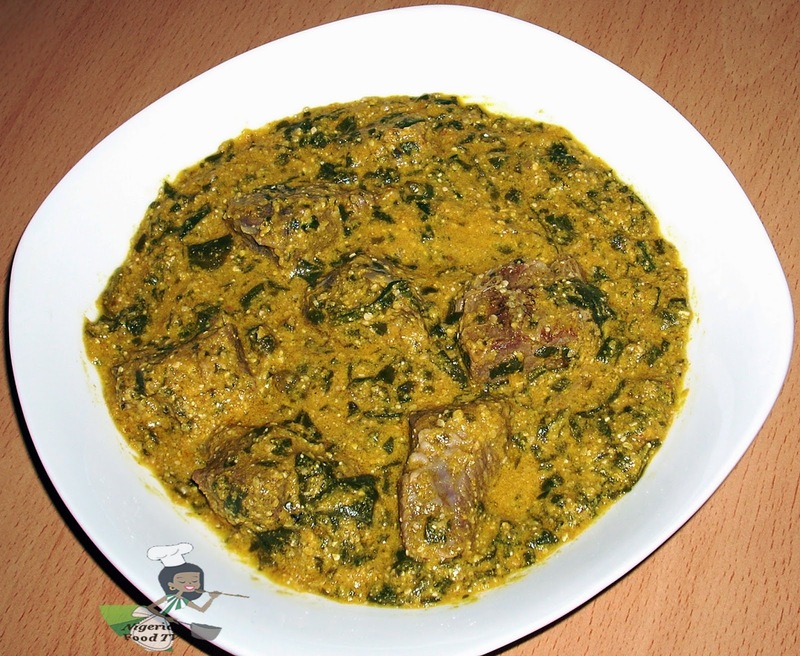 Looking for a Nigerian Soup, Stew or Sauce Recipe? Find it Here…. (you can also request a recipe by leaving a comment below. Your method of explaining the whole thing in this post is truly pleasant, every one be capable of without difficulty know it, Thanks a lot. My hubby was tired of d routine meals. It got me searching for new things and i came accross ur blog. This recipe is great. I tried it today. So fantanstic. Will try others. Thank you. Great job! Hi madam Nky, I'm super excited about this blog site. I've got a lot to learn from here. Thanks a lot and God bless. Tbaby, all the soups here can be cooked with mushroom, but I'll have a special recipe up very soon. 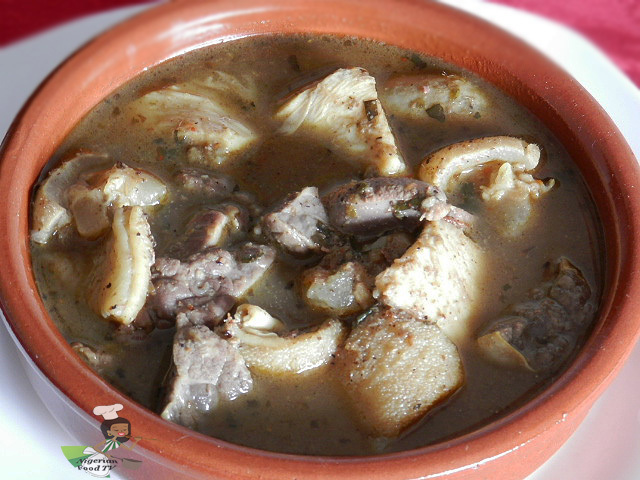 I need recipe for a soup I can prepare using mushrooms…any one? 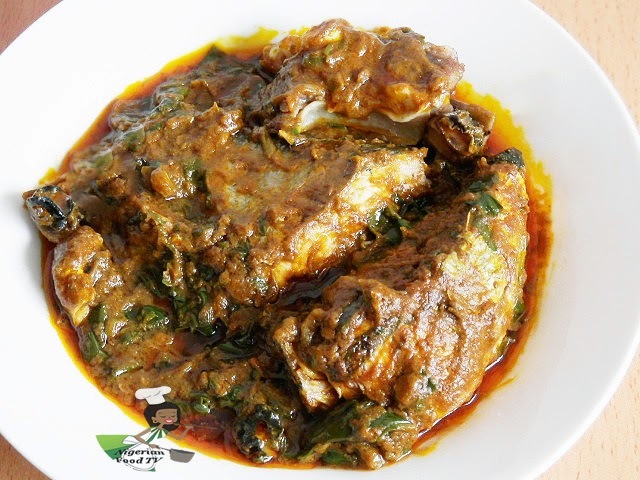 Two things… How do I make the beef stock for the Egusi soup and second how do I clean and chop up my mackerel for the fresh fish? Nky God will bless you for opening this, I have always wanted to learn how to cook, but was very shy to get the help from my friends, but now you've made everything easier for me. Good morning, God bless you for this beautiful site which you created to add more varieties to our cooking. We really appreciate you. Please wanted to find out if you have a recipe for garden egg stew? Thanks Ugo, I'll have the recipe up soon. 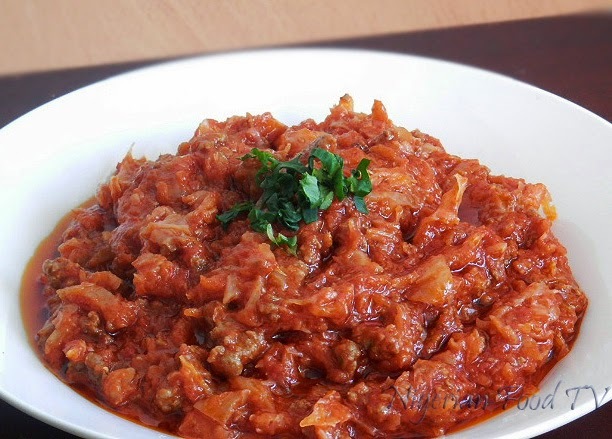 Hi Gloria, Check our fish stew recipe above. Pls how do you make soup with groundnut? Thanks so much for these delicious recipes. I keep trying them one after another and they are so good. Pls can you tell me how to prepare garden egg leaves sauce with garden egg for eating yam. Thanks and keep it up. Thanks for feedback dearie, garden egg sauce recipe is coming soon. Pls I would like to know if it safe for me to dry and keep wgu leat for months cos I don't av access to fresh wgu leaf all d time where I stay. yes you can store it for months, but make sure it is properly dried. You can also store the fresh ones in the freezer. check ''snacks recipes'' at the top of the page,. go to the top of the page, just before ''featured recipes'', enter your email and subscribe. These recipes swept me home and bright back my wonderful childhood memories and meals! You are descriptive and accurate with the menus! Keep it up I can't wait to try these out and throw down like my mother. Hi, can I have recipe for rivers native soup. Niky I'm very excited to try your recipes. I came online to search for Nigerian recipes and your site came up. I read the reviews and everyone seems pleased. 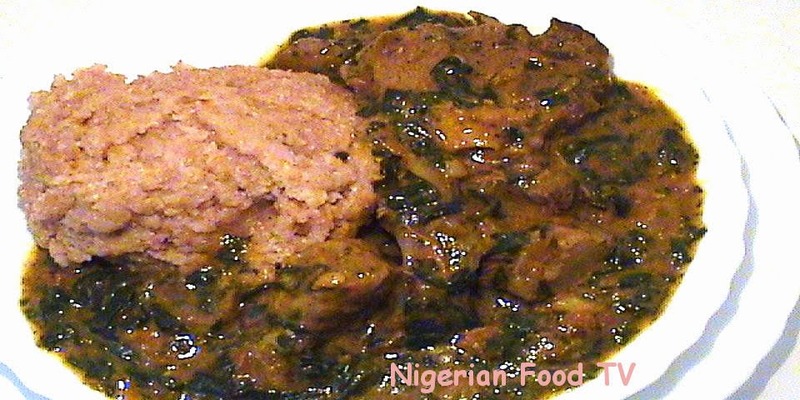 If just recently started dating a Nigerian and of course would like to make dishes that he likes. Looking forward in making some of your recipes. Be blessed. Do u know how to make white sauce? Nky is really trying with all this recipes, I just saw Miyan Taushe, my kids love it. Pls ma,do you have a recipe for seasoned chicken or fried chicken? Thx ma,u're doing a great job. Pls i need more information on the peppersoup spice urgently. Lily dear, is not proper to add butter in buns? thumbs up, all ur menus are lovely and appetising. i love them all. 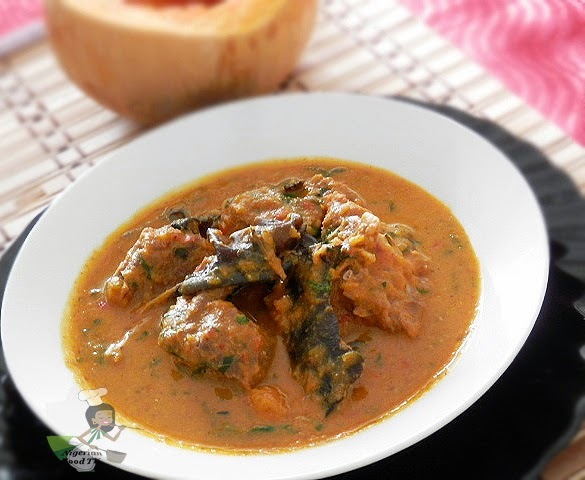 I will love to try your recipe for fish and pepper soup with gari. this is a welcome site for food and nutrition students. 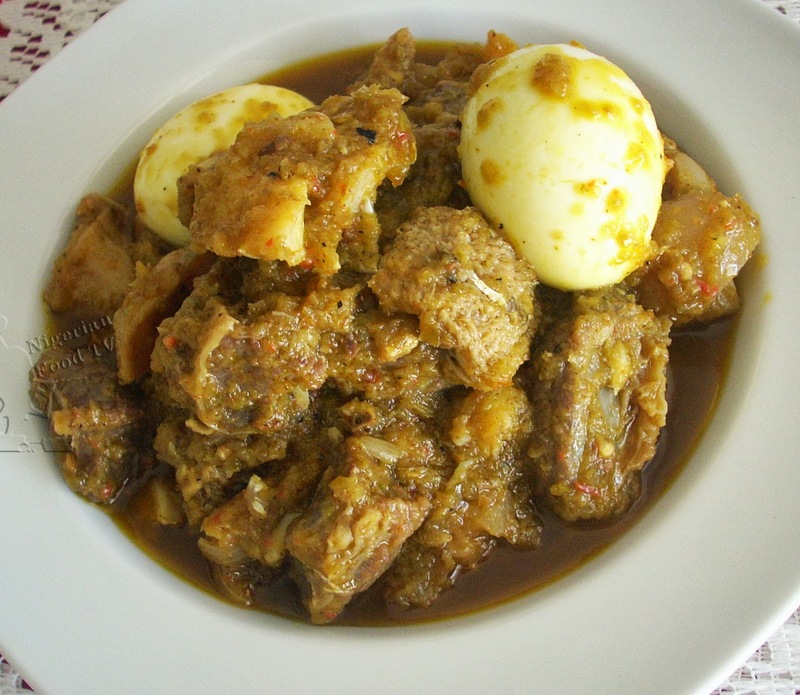 Hi Nky please is it possible to have receipe for curry stew/soup? Hi nky,please i need the recipe for edo black soup also known as omebe soup. will really appreciate if it joins the list above soon. Meanwhile, i love your website. keep it up!!!!!! Buy bitter leaf, native scent leave and peppers soup ingredient (eg atare, ataijosin, e.t.c) lastly fresh cat fish. Wash the bitter leaf to point that the bitterness is almost completely off. 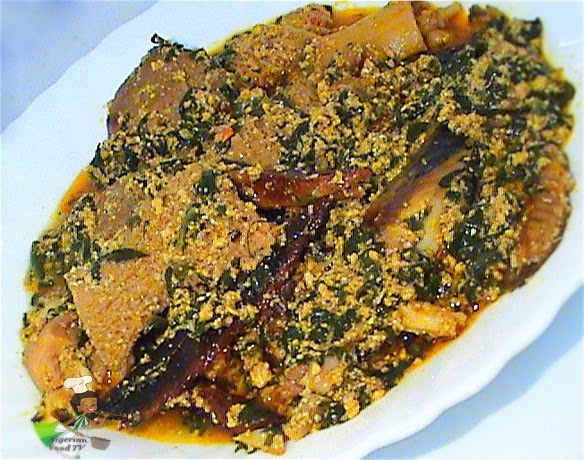 Add the scent and pepper soup ingredients ground everything together. You can sieve it if you want smooth blends if not pour it in the pot boil until it is dry to the level of thickness you want you soup to be then add salt,seasoning, lastly your properly washed catfish. I have palm oil here where am staying, but I specialize in making Egusi soup with regular vegetable oil with a tin of tomato paste. Just try that. Do you know how to make Atama Soup?